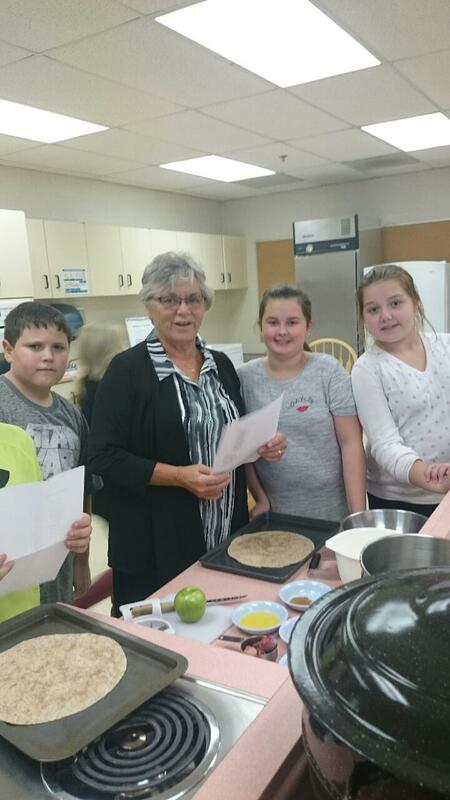 North and South Esk Elementary received a 5210 Intergenerational Grant to offer the Chefs! Program to students. 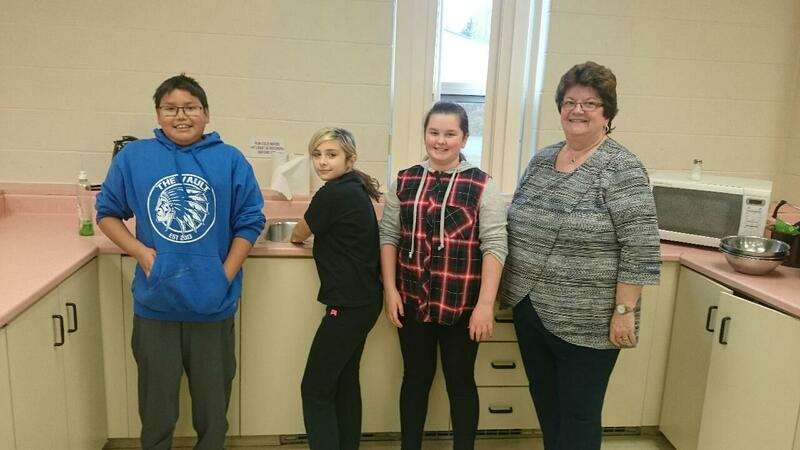 The students have thoroughly enjoyed every session and have learned many new skills in nutrition, cooking and cooperation with classmates and senior volunteers from our local community. 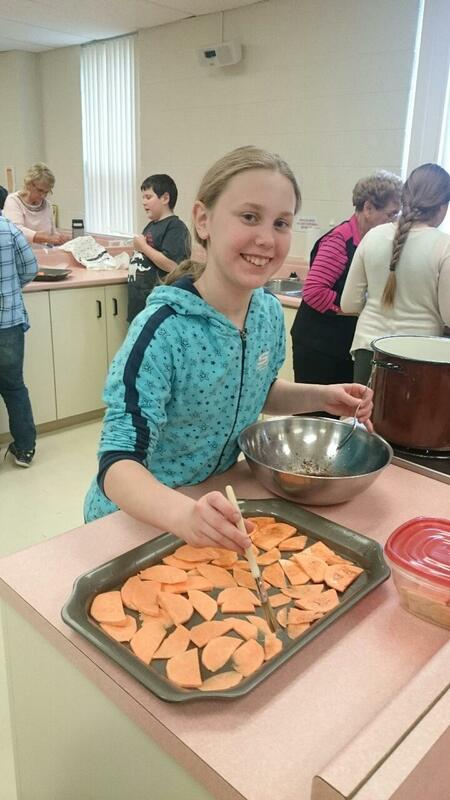 Students participated in pre – sessions prior to every linked cooking session. Skills such as nutrition, personal cleanliness in the kitchen, food and kitchen safety, and cooking skills were taught. After the introduction, cooking sessions were arranged including nutrition, either fruit or vegetables, and community senior volunteers. 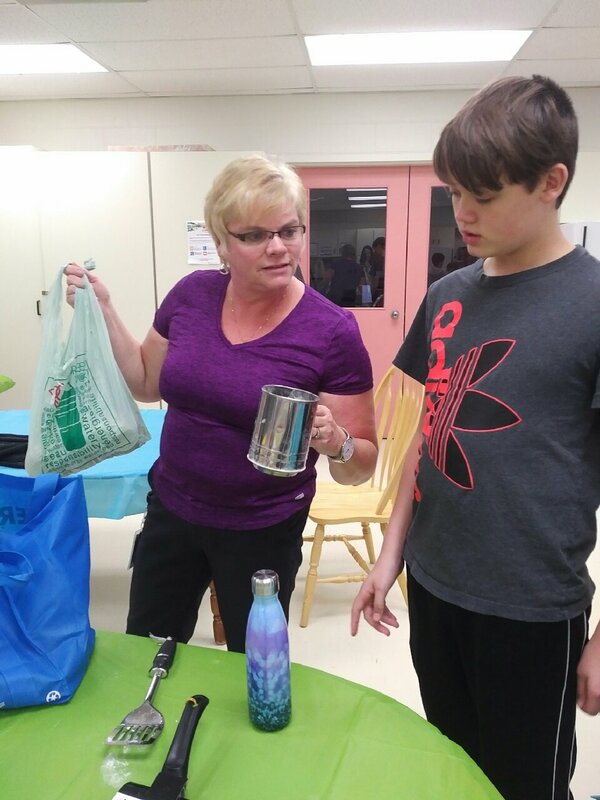 Volunteers facilitated the organization, recipes, and basic cooking skills. 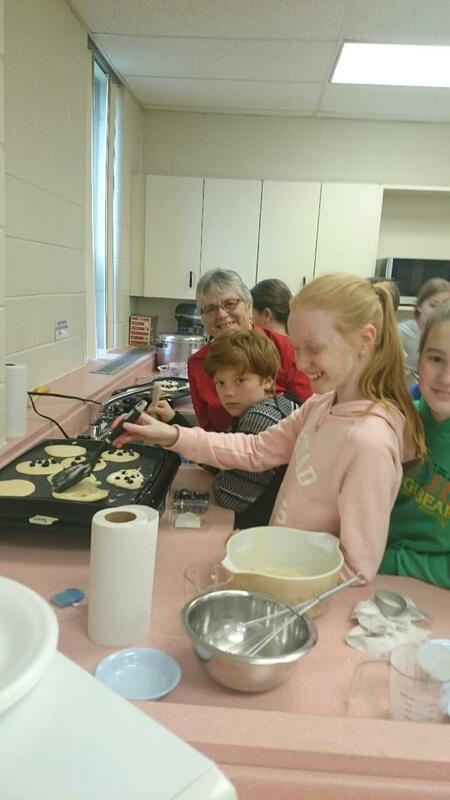 Some skills that have been covered are cutting, peeling, basic recipe reading, collecting ingredients, cooperation and food and kitchen safety. Once the food is prepared everyone shared the delicious new recipes. Everyone, including volunteers have enjoyed every aspect of the Chefs! Program.